Regardless, we did just that and it's time for you to give it a listen. In this episode we talk about how the new 911 Turbo is essentially becoming a GT-R, what it's like to run in a vintage road race in a vintage Lancia, and just how awesome the Mazda Miata Super20 concept actually is. 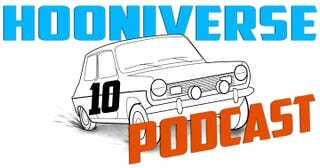 Head over to Hooniverse to listen.